Carmichaels Tree Service. Tree cutters, tree trimmers, tree professionalist. Arborist. HOME ABOUT US SERVICES LINKS CONTACT US GOOD NEWS FORGOTTEN? "Carmichael's Tree Service has worked on our property on three separate occasions, and we have been extremely pleased with every job. Their estimates are reliable, they're here on schedule and the work is reasonably priced. Most important to us, they take great care protecting existing, desirable plants and trees and always clean up after the job." "We've utilized Carmichael Tree Service for the last eight years. Nathan and his crew are extremely professional and knowledgeable about their craft. We only wish that they would branch out to include plumbing, electric, and overall home repair. 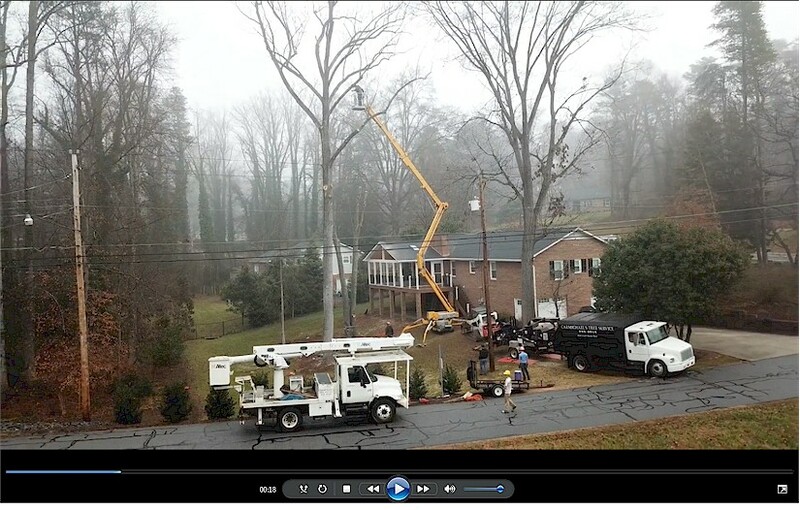 Carmichael Tree Service is the best and a must for any home owner." Serving commercial and residential needs throughout North Carolina. Rapid response service available in Forsyth County, Stokes County, Yadkin County, Davidson County, Davie County.